Sichuan:Batang Xian. Road from Litang to Batang. 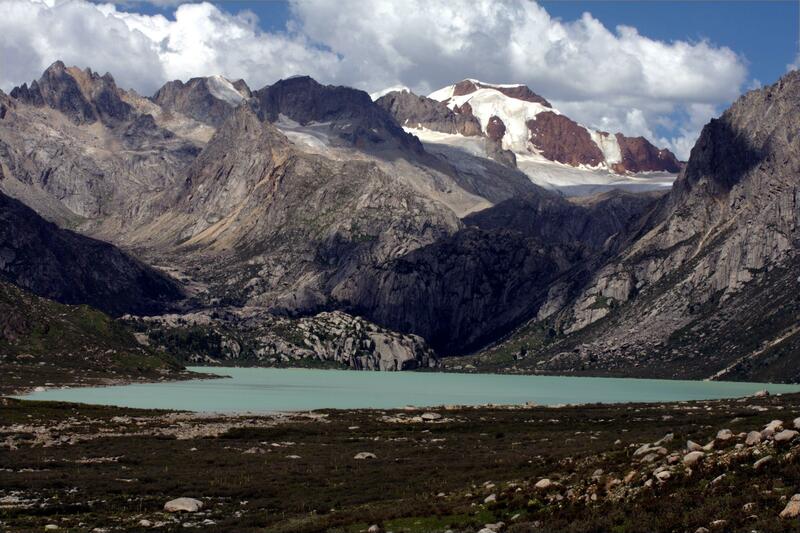 Glacial lake on S side of pass at Haizi Shan. Shore of lake and slope above lake; slope with scattered dwarf (0.5-1 m tall) shrubs of Salix and Rhododendron and Kobresia meadow around lake. 30°18'13"N, 99°33'27"E; 4500-4600 m.